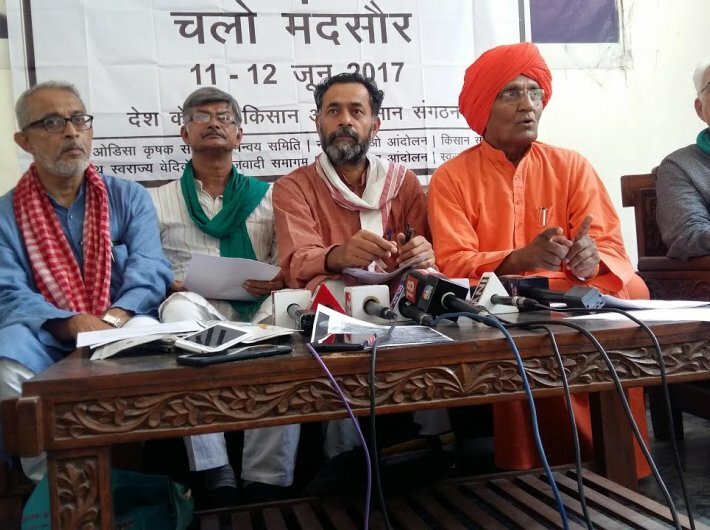 Remunerative prices must be paid to farmers of Madhya Pradesh, said Medha Patkar of National Alliance of People’s Movement (NAPM), Yogendra Yadav of Swaraj Abhiyan, Kisan Sangharsh Samiti, Bandhua Mukti Morcha and others after visiting Mandsaur where seven people were killed in police firing during a protest by farmers. They also sought guaranteed purchase of the produce through market stabilization funds and other mechanisms. Since agriculture is a state subject, Madhya Pradesh following on the footstep of Karnataka, can ensure relief for farmers through agriculture price commission and allied statutory interventions, the activists said. They demanded a one-time waiver of all loans, which if coupled with remunerative prices of their crops will pull farmers out of the debt trap and suicide. They also wanted the state government to immediately register a murder case against all policemen and administrative officers who ordered firing on farmers and executed the order as well as withdrawal of cases against farmers in connection with the agitation. Also, comprehensive crop insurance needs to be provided for all crops grown in the state and not just to a few crops as presently stipulated under the Pradhan Mantri Fasal Bima Yojana (PMFBY).